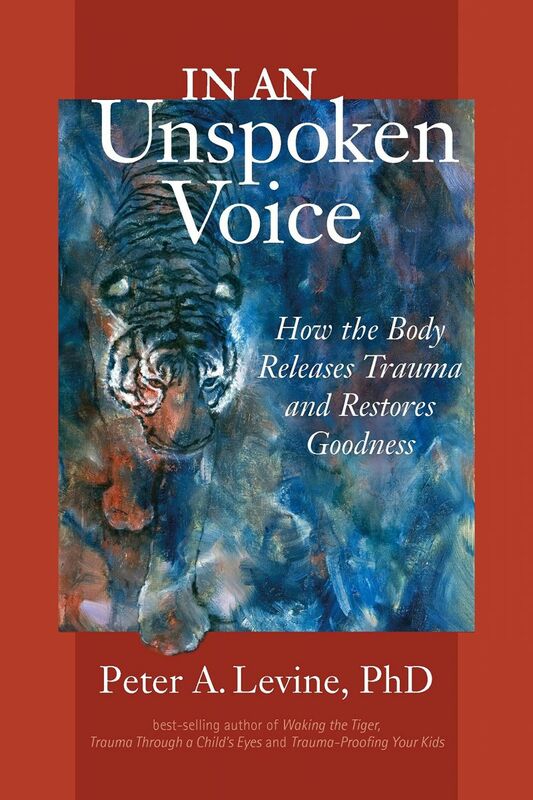 From In an Unspoken Voice: How the Body Releases Trauma and Restores Goodness by Peter Levine, published by North Atlantic Books, copyright © 2010 by Peter Levine. Reprinted by permission of publisher. Most people think of trauma as a “Mental” problem, even as a “brain disorder.” However, trauma is something that also happens in the body. We become scared stiff or, alternately, we collapse, overwhelmed and defeated with helpless dread. Either way, trauma defeats life. The state of being scared stiff has been portrayed in the various great cultural mythologies. There is, of course, the Gorgon Medusa who turns her victims to stone by exposing them to her own wide-eyed terrified gaze. In the Old Testament, Lot’s wife is turned into a pillar of salt as a punishment for witnessing the terrifying destruction of Sodom and Gomorrah. If these myths seem too remote, we need only look at children throughout the world playing “statue.” How many countless generations of kids have used this game to help them master the primordial terror (often lurking in their dreams) of being scared stiff? To these stories we can add our contemporary myth of the “dis-ease” that psychiatry has named posttraumatic stress disorder or PTSD. Indeed, when compared with historical mythologies, modern science has certain advantages and disadvantages in accurately comprehending the universal human experience of terror, horror, injury and loss. The indigenous peoples throughout South America and Mesoamerica have long understood both the nature of fear and the essence of trauma. What’s more, they seemed to know how to transform it through their shamanic healing rituals. After colonization by the Spanish and Portuguese, the indigenous peoples borrowed their word susto to describe what happens in trauma. Susto translates graphically as “fright paralysis” and as “soul loss.” Anyone who has suffered a trauma knows, first, paralyzing fright, followed by the bereft feeling of losing your way in the world, of being severed from your very soul. When we hear the term fright paralysis, we may think of a startled deer, stunned motionless by oncoming headlights. Humans react similarly to trauma: thus Nancy, her startled face wide-eyed and frozen in fear. The ancient Greeks also identified trauma as being paralyzing and corporeal. Zeus and Pan were invoked to instill terror and paralysis in the enemy during times of war. Both had the capacity to “freeze” the body and induce “pan-ic.” And in the great Homeric epics, the Iliad and the Odyssey, trauma was portrayed as ruthlessly destructive to self and families. By the time of the American Civil War—when young men were suddenly exposed to their comrades being blown into pieces by cannon ï¬�re; to the noise and terror of chaos; and to stinking, rotting corpses far beyond anything they were prepared for—the term used to describe traumatic post-combat breakdown was soldier’s heart. * This name conveyed both the anxious, arrhythmic heart, pounding in sleepless terror, as well as the heartbreak of war, the killing of brothers by brothers. Another term from the Civil War era was nostalgia, perhaps a reference to the unending weeping and inability to remain oriented to the present and go on with life. Shortly before World War I, Emil Kraepelin, in an early diagnostic system published around 1909, called such stress breakdown “fright neurosis.” After Freud, he recognized trauma as a condition arising from an overwhelming stress. Freud had defined trauma as “a breach in the protective barrier against stimulation [(over)stimulation—my addition], leading to feelings of overwhelming helplessness.” Kraepelin's definition was largely lost in the nomenclature of trauma, yet it recognized the central aspect of fright—although the word “neurosis” has pejorative associations. In the wake of World War I, combat trauma was reincarnated as shell shock, simple, honest and direct. This bluntly descriptive phrase almost resounds like the maddening explosions of shells, shattering the stunned and trapped men into shaking, urinating and defecating uncontrollably in the cold, wet trenches. Like susto, this raw descriptive term had nothing distancing, dispassionate or disinfected about it. However, by World War II, any real reference to soldiers’ suffering was stripped of dignity and neutered to battle fatigue or war neurosis. The first term suggested that if a soldier heeded Grandma’s advice and took a good long rest, all would be just ï¬�ne. This dismissive minimizing was especially insulting, and even ironic, given a suffering soldier’s profoundly disturbed capacity for restorative sleep. Even more demeaning was the pejorative use of the word neurosis, implying that a soldier’s “shell shock” was somehow due to a “character defect” or a nagging personal weakness—perhaps an “Oedipal complex”—rather than to one’s entirely appropriate terror of exploding shells or stark grief for fallen comrades and the horror of men killing men. These newer monikers separated civilians, families and doctors from the jagged reality of the soldiers’ profound suffering. In the aftermath of the Korean War, all remaining poignancy was excised from the next generation of war trauma terminology. The term used here for combat trauma, operational exhaustion (which was resurrected as combat operational exhaustion for the Iraq war), certainly had nothing gritty or real in respect to the horrors of war. It was an objectified term, more applicable to a laptop computer of today when left on too long and needing a reboot. Finally, the current terminology, derived largely from the experiences of the Vietnam War, is posttraumatic stress disorder. 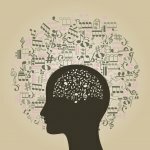 As PTSD, the universal phenomenon of terror and paralysis—in which the nervous system has been strained to the breaking point, leaving body, psyche and soul shattered—is now fully sanitized as a medical “disorder.” With its own convenient acronym, and serving the dispassionate nature of science, the archetypal response to carnage has now been artificially severed from its ravaging origins. Where it was once aptly conveyed by the terms fright paralysis and shell shock, it is now simply a disorder, an objectified collection of concrete and measurable symptoms; a diagnosis amenable to vested research protocols, detached insurance companies and behavioral treatment strategies. While this nomenclature provides objective scientific legitimacy to the soldiers’ very real suffering, it also safely separates doctor from patient. The “healthy” (“protected”) doctor treats the “ill” patient. This approach dis-empowers and marginalizes the sufferer, adding to his or her sense of alienation and despair. Less noticed is the likely burnout in the unprotected healer, who has been artificially hoisted onto a precarious pedestal as false prophet. Recently, a young Iraq veteran took issue with calling his combat anguish PTSD and, instead, poignantly referred to his pain and suffering as PTSI—the “I” designating “injury.” What he wisely discerned is that trauma is an injury, not a disorder like diabetes, which can be managed but not healed. In contrast, posttraumatic stress injury is an emotional wound, amenable to healing attention and transformation. Nonetheless, the medical model persists. It (arguably) functions fairly effectively with diseases like diabetes and cancer, where the doctor holds all of the knowledge and dictates the necessary interventions for a sick patient. This is not, however, a useful paradigm for trauma healing. Rather than being a disease in the classical sense, trauma is instead a profound experience of “dis-ease” or “dis-order.” What is called for here is a cooperative and restorative process with the doctor as an assisting guide and midwife. A doctor who insists on retaining his or her protected role as “healthy healer” remains separate, defending him or herself against the ultimate helplessness that lurks, phantom-like, in all of our lives. Cut off from his or her own feelings, such a doctor will not be able to join with the sufferer. Missing will be the crucial collaboration in containing, processing and integrating the patient’s horrible sensations, images and emotions. The sufferer will remain starkly alone, holding the very horrors that have overwhelmed him and broken down his capacity to self-regulate and grow. In a common therapy resulting from this isolating orientation, the therapist instructs the PTSD victim to assert control over his feelings, to manage his aberrant behaviors and to alter his dysfunctional thoughts. Healing has been hindered by a nomenclature and a paradigm that, in separating the healer from the wounded, denies the universality of our responses to terror and horror. The aspiration to reinvigorate a contemporary approach to healing trauma requires each of us to connect to our biological commonality as instinctual beings; thus, we are linked not only by our common vulnerability to fright but by our innate capacity to transform such experiences. In pursuing this link, we can learn much from mythology and from our animal brethren. It is the weaving together of heroic myth and biology (“mytho-biology”) that will help us comprehend the roots and mysterium tremendum of trauma. Mythology teaches us about courageously meeting challenges. Myths are archetypal stories that simply and directly touch the core of our being. They remind us about our deepest longings, and reveal to us our hidden strengths and resources. They are also maps of our essential nature, pathways that connect us to each other, to nature and to the cosmos. The Greek myth of Medusa captures the very essence of trauma and describes its pathway to transformation. In the Greek myth, those who looked directly into Medusa’s eyes were promptly turned into stone ... frozen in time. Before setting out to vanquish this snake-haired demon, Perseus sought counsel from Athena, the goddess of knowledge and strategy. Her advice to him was simple: under no circumstances should he look directly at the Gorgon. Taking Athena’s advice to heart, Perseus used the protective shield fastened on his arm to reflect the image of Medusa. This way he was able to cut off her head without looking directly at her, and thus avoided being turned into stone. If trauma is to be transformed, we must learn not to confront it directly. If we make the mistake of confronting trauma head on, then Medusa will, true to her nature, turn us to stone. Like the Chinese finger traps we all played with as kids, the more we struggle with trauma, the greater will be its grip upon us. When it comes to trauma, I believe that the “equivalent” of Perseus’s reflecting shield is how our body responds to trauma and how the “living body” personifies resilience and feelings of goodness. Out of Medusa’s wound, two mythical entities emerged: Pegasus the winged horse and the one-eyed giant Chrysasor, the warrior with the golden sword. The golden sword represents penetrating truth and clarity. The horse is a symbol of the body and instinctual knowledge; the wings symbolize transcendence. Together, they suggest transformation through the “living body.”* Together, these aspects form the archetypal qualities and resources that a human being must mobilize in order to heal the Medusa (fright paralysis) called trauma. The ability to perceive and respond to the reflection of Medusa is mirrored in our instinctual natures. In another version of this same myth, Perseus collects a drop of blood from Medusa’s wound in two vials. The drop from one vial has the power to kill; the drop in the other vial has the power to raise the dead and restore life. What is revealed here is the dual nature of trauma: first, its destructive ability to rob victims of their capacity to live and enjoy life. The paradox of trauma is that it has both the power to destroy and the power to transform and resurrect. Whether trauma will be a cruel and punishing Gorgon, or a vehicle for soaring to the heights of transformation and mastery, depends upon how we approach it. Trauma is a fact of life. It does not, however, have to be a life sentence. It is possible to learn from mythology, from clinical observations, from neuroscience, from embracing the “living” experiential body, and from the behavior of animals; and then, rather than brace against our instincts, embrace them. With guidance and support, we are capable of emulating animals in learning (like Nancy and I did) to shake and tremble our way back to life. In being able to harness these primordial and intelligent instinctual energies, we can move through trauma and transform it. In Chapter 4 we begin with a study of our instinctual roots as revealed in the animal experience. * This descriptive term was probably borrowed from the Swiss in the mid-1600s, where it was also called nostalgia (Heimweh)—and yes, the armies of the “neutral” Swiss cantons were at each other’s throats for centuries! * In the opposite direction we see that a declining number of office-based psychiatrists in the United States are providing psychotherapy. According the results from a national ten-year survey from the National Ambulatory Medical Care Survey (NAMCS), the percentage of office visits to psychiatrists that involved psychotherapy dropped from 44% in 1996–1997 to 29% in 2004–2005. * In the analytic psychology of Jung, the image of the one-eyed giant holding a golden sword conveys the archetype of the “deep” (non-egoic) self. Rubel, A., O’Nell, C., & Collado-Ardon, R. (1984). Susto: A Folk Illness. Berkeley: University of California Press. Kraepelin, E. (2009). Lectures on Clinical Psychiatry. General Books LLC (Original work published 1904). From In an Unspoken Voice: How the Body Releases Trauma and Restores Goodness by Peter Levine, published by North Atlantic Books, copyright © 2010 by Peter Levine. Reprinted by permission of publisher. North Atlantic Books is a leading publisher of authentic works on the relationship of body, mind and nature to create personal, spiritual and planetary transformation.